Back in the early Nineties, Porsche created a poster proclaiming that the then-new 911 Turbo was able to “kill bugs fast”. Well, with the launch of the new Porsche 911 GT2 RS, German manufacturer looks to have perfected its automotive insecticide. 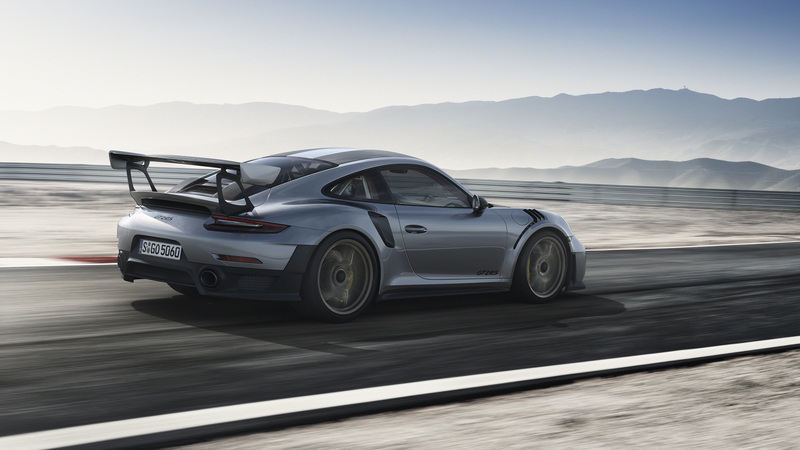 Opting to skip straight past the standard GT2 and launch the more extreme ‘Rennsport’ version first, the 991.2 generation GT2 RS is the fastest and most powerful road-approved Porsche 911 ever created. Taking the 3.8-litre twin turbocharged flat six from the current 911 Turbo S (good for 580hp), Porsche has turned the wick up even further with the GT2 RS’s powerplant, adding larger turbochargers, a new cooling system and a specially designed titanium exhaust system. The end result? 700hp. 700! And, in traditional GT2 fashion, it all goes to the rear wheels (eschewing the four-wheel drive format that turbocharged 911s have used since the 993 generation, the aforementioned poster car). 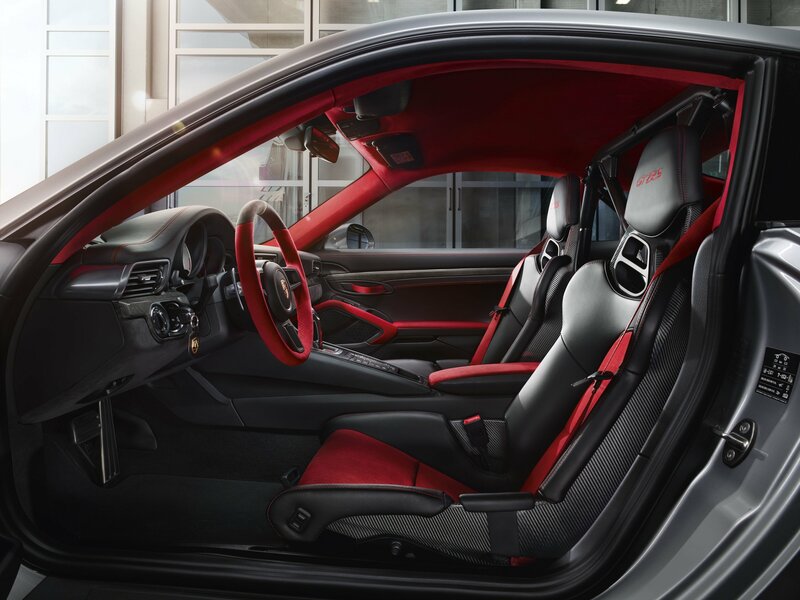 Despite this, by using a customised version of Porsche’s dual-clutch PDK gearbox, the 2017 Porsche 911 GT2 RS is able to launch from zero to 62mph in a mind-bending 2.8 seconds. 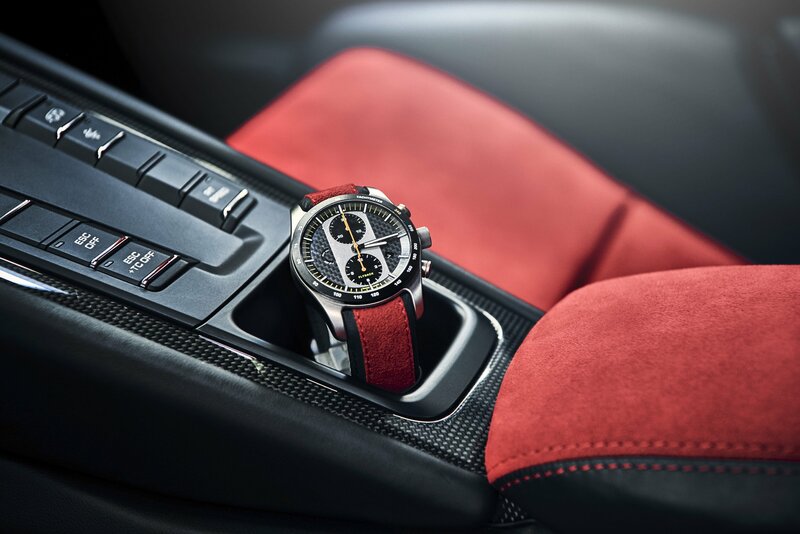 That’s faster than the all-wheel drive Turbo S.
Being bestowed with the legendary Rennsport badge (worn by some of the best handling 911s ever made), the 911 GT2 RS isn’t just a car for straight line heroes however. 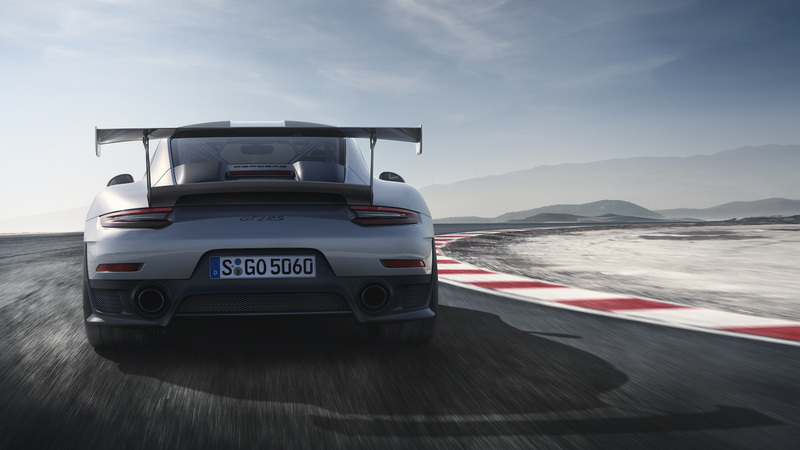 Inspired by the current GT3 RS, the GT2 RS gets a race-bred chassis, complete with Porsche’s impressive rear-wheel steering system, aiding agility and stability. Carbon ceramic stoppers are included as standard too, while car’s visual identity is undeniably defined by its myriad of splitters, vents and wings. The front bumper gets a pair of hugely imposing air intakes that, if it weren’t for some plastic mesh, would surely gulp down small birds with ease. There are also a pair of cooling vents on the carbon fibre bonnet, while the front wing louvres – first seen on the 991 GT3 RS – are even larger and more aggressive on its turbocharged brother. The savage twin turbo motor breathes through the carbon clad air intakes just in front of the rear wheels, while the rear wing is as huge and faintly ridiculous as you’d expect of a car from Porsche’s famed GT department. While preventing it from escaping the earth’s gravitational pull, all this downforce isn’t the only factor that could see the new 911 GT2 RS break the seven-minute barrier at the Nürburgring Nordschleife. 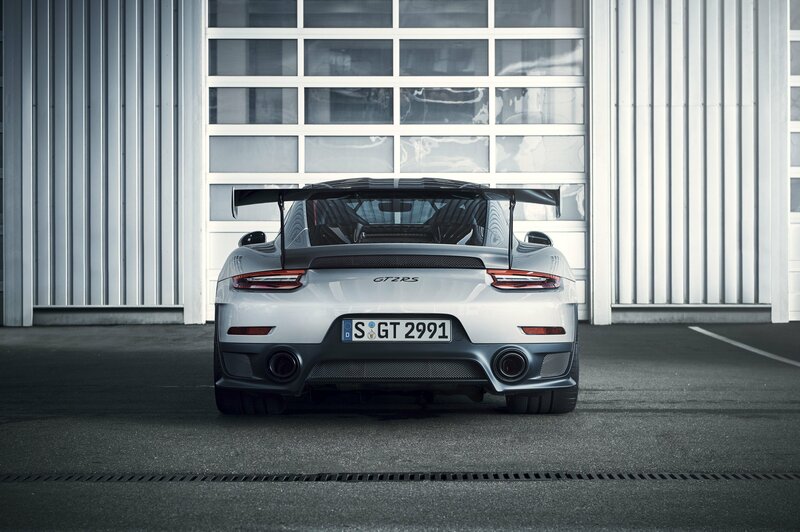 Porsche has gone to great lengths to offset the greater natural heft of the GT2’s turbocharged engine. Much of the front-end bodywork is constructed from carbon-fibre (including the wing mirror casings) while the standard roof made from magnesium. For even more dedicated weight weenies, Porsche is also offering an optional Weissach package – named after the company’s famous test track – which reduced the GT2 RS’s already impressive kerb weight of 1,470kg (with a full tank of fuel) by a further 30kg. 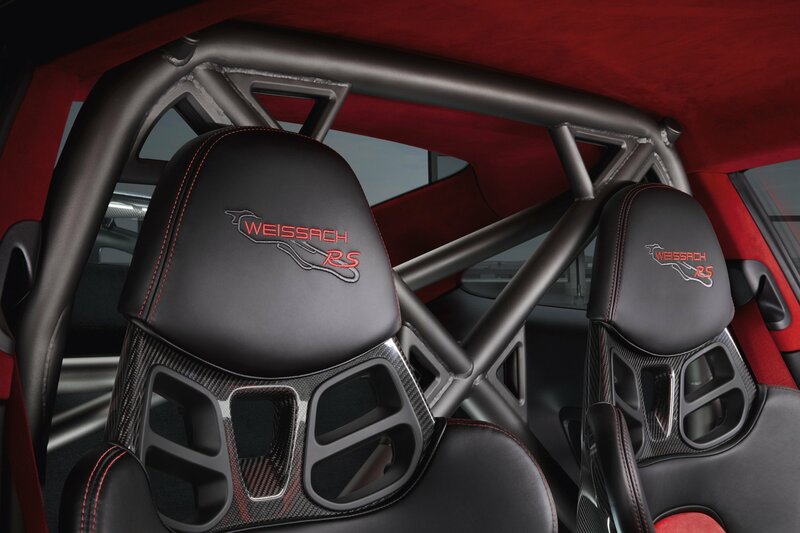 This adds a carbon fibre roof and anti-roll bars as well as magnesium wheels. It also provides an additional visual flourish in the way of a body-coloured stripe through the centre of the car. 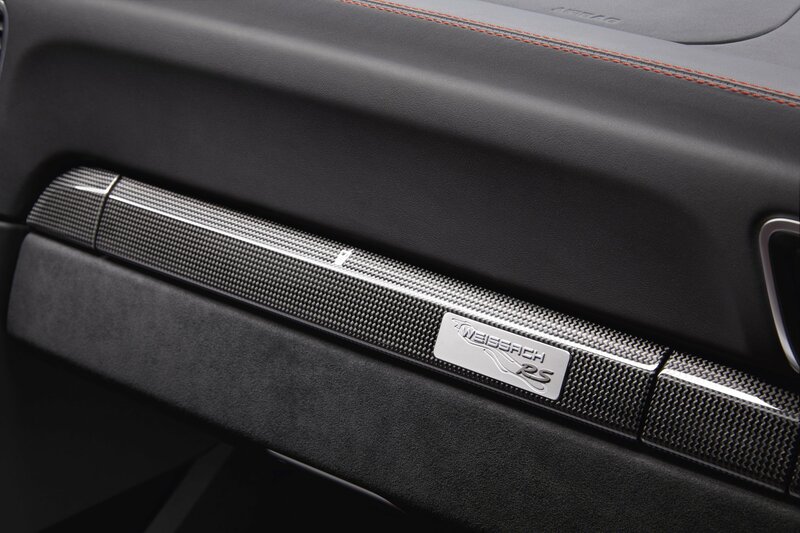 The carbon fibre touches continue inside where you’ll find a pair of carbon-backed buckets seats trimmed in black leather and red Alcantara. There’s also a fairly serious looking roll cage, just in case you forget that road-going pretensions, this is a thoroughbred track machine. As the most mental production Porsche 911 ever, the new GT2 RS has an appropriately grand price tag. £207,506, in case you were wondering. Oh, and the Weissach pack adds another £21,042 to that. Don’t worry if you don’t currently have the cash in hand though; it wouldn’t matter anyway. If the rumours are to be believed, the full Porsche 911 GT2 RS production run – believed to be around 1000 cars – has already been accounted for. What do you think of the new Porsche 911 GT2 RS? Join the debate now over on Flat-Out’s Facebook and Twitter pages.